Karl Hugo Schmölz, born in 1917, inherited the famous Cologne photo studio of his father Hugo Schmölz and, in 1958, together with his wife Walde Huth, founded the studio schmöz + huth. 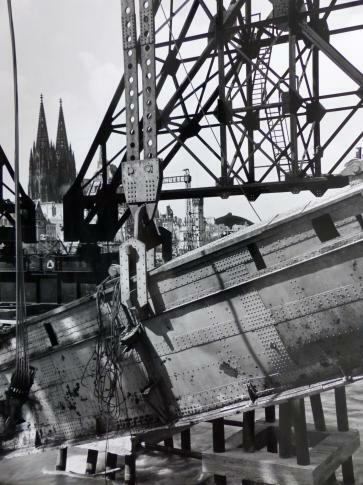 The photographer documented the destroyed Cologne and photographed Cologne’s restoration. Fashion photographs were also created in the studio alongside architecture and promotional shots. A co-operation between AntoniterCityKirche and the Rudolf A. Scholl Foundation.